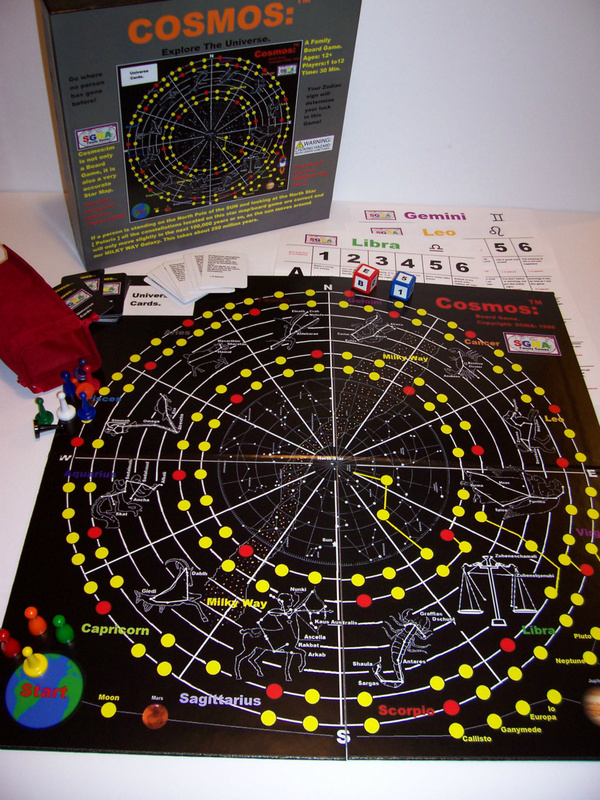 Cosmos is played by 2 to 12 people. Playtime is about 30 to 45 minutes. Enclosed is an extra sticker for each dice symbol, encase of loss or application error. sit around it. Place the Universe cards face down on the board space. The players role the numbered die, to see which player starts the game, then game play moves to the left. Each player chooses a token to represent him or her on the playing board. Place tokens on the START (Earth). Play starts with a role of the numbered dice and the players token follows along the track until the players reach the space ship; at this time each player picks a zodiac card. Two players can use the same card if they have the same zodiac sign. Two or more players may occupy the same space on the board by placing the tokens as close each other as possible. 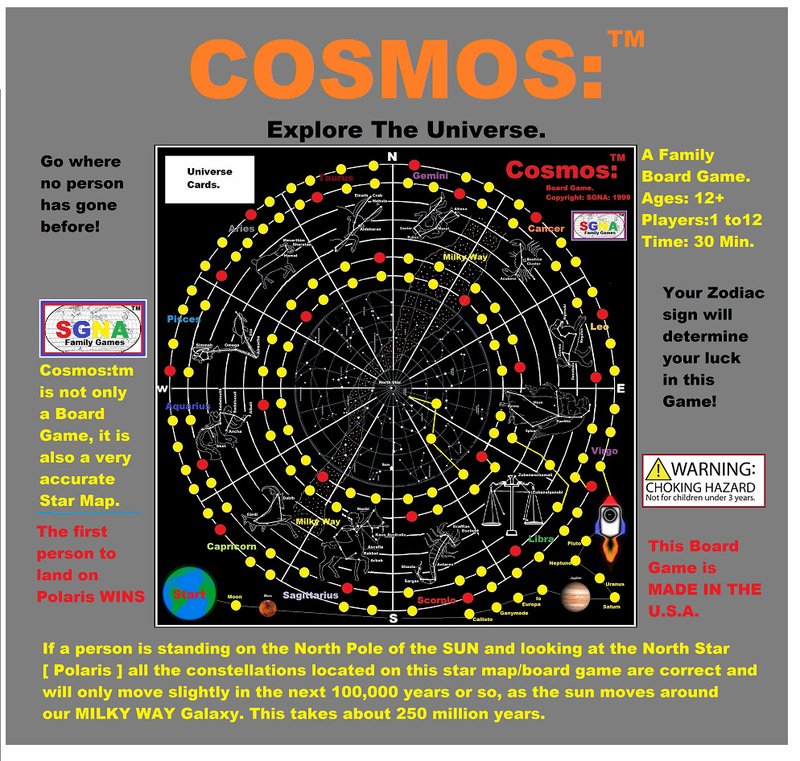 From the space ship the players follow the track of yellow dots into the cosmos. When a player lands on a RED dot; the player has to draw a UNIVERSE CARD and follow the instructions; then put the card back, face down on the bottom of the deck. When a player lands on or travels through his/her Zodiac sign segment of the cosmos; the player rolls both the numbered dice and the lettered dice to come up with an address on the players zodiac card. The player then follows the instructions on the card. It is then the next players turn. The first player to land his token on the NORTH STAR, WINS the game.